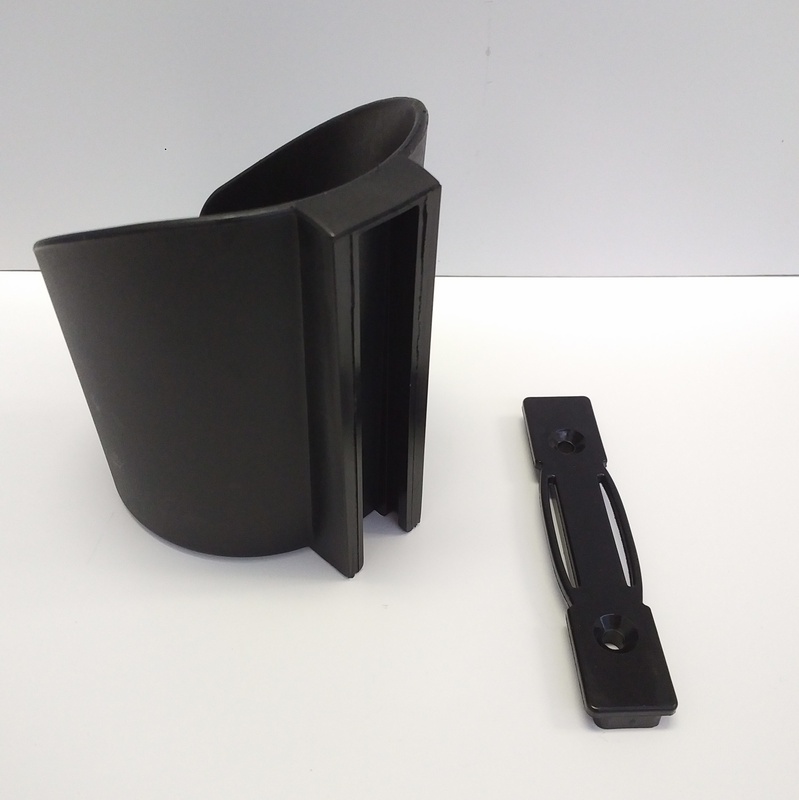 Theses holder are made with very high strength plastic and come with the mounting hardware. 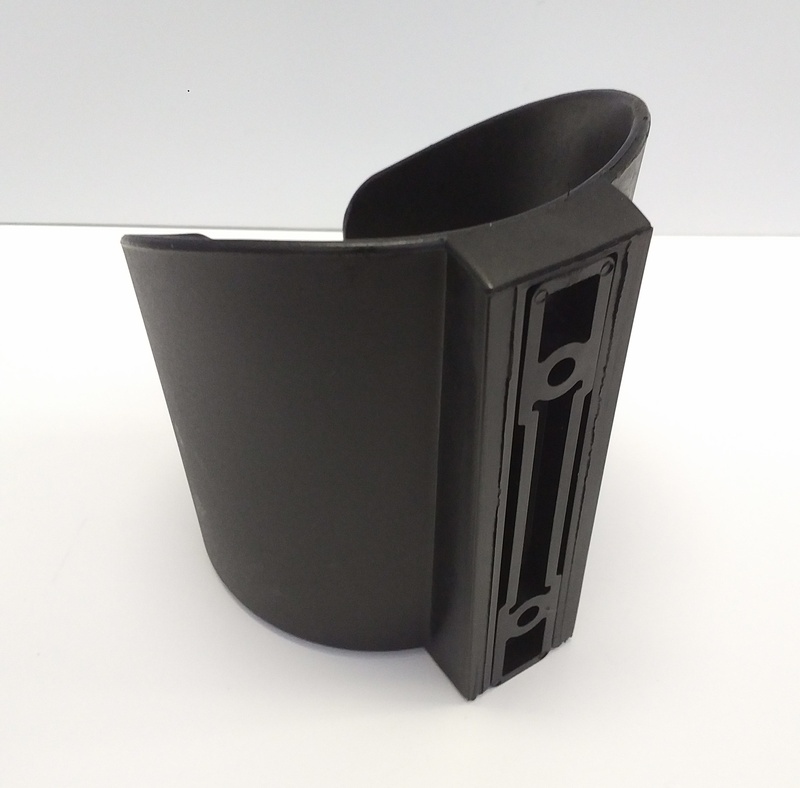 They fit in all the 45 Series (45mm) and 10mm slot wide extrusions. 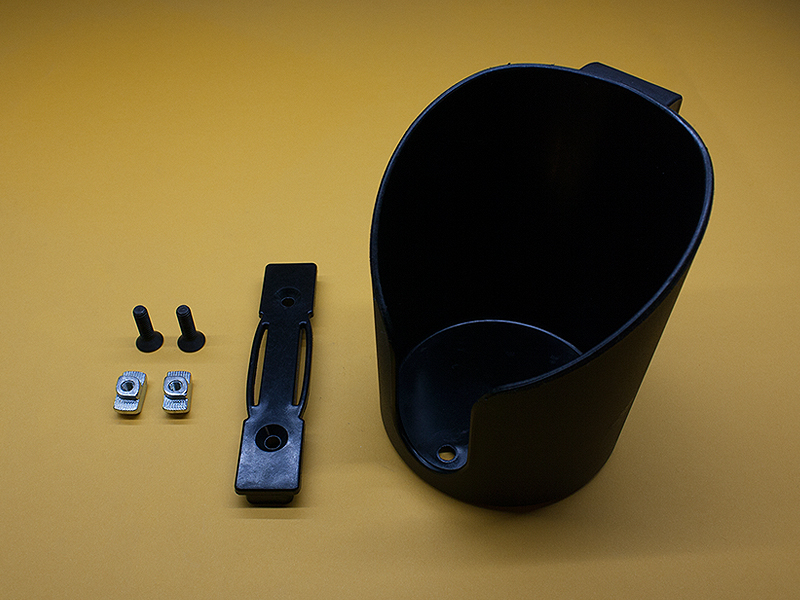 The bottom will fit a Ø3.5″ bottle, can or parts bin.